Conducted by Sebastian Lang-Lessing, with the San Antonio Symphony Mastersingers and Stephen Hough. Why See San Antonio Symphony - British Classics? 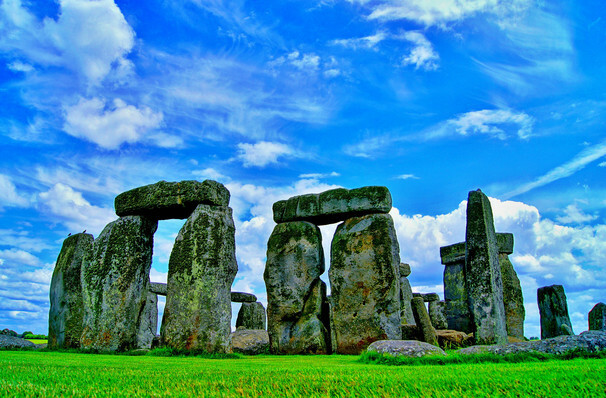 England's green and pleasant lands are the subject of this veritable feast of British classics from the San Antonio Symphony. Including works from Vaughan Williams, Walton and Elgar, you'll soon be able to spot any Brits in the audience as their stirring works are likely to bring a tear or two to any who hail from the sceptered isles of the United Kingdom. Bright and energetic, Vaughan Williams composed this vibrant work in 1909 for a play by Aristophanes being staged at Cambridge University. Created for the coronation of Edward VIII, it was hastily repurposed for the coronation of his brother George VI following the former's abdication. Initially criticized, it is now looked on as an homage to Elgar and was performed at the coronation of George's daughter: Queen Elizabeth II. Not strictly from Britain, Beethoven's display piece evokes the traditions and grandeur of an English country house as captured by many a period drama. Elgar: Variations on an Original Theme, Op. 36, "Enigma Variations"
Including the highly emotional Nimrod, Elgar's Enigma Variations is a work of staggering beauty that features today as a solemn memorial piece that induces chills in any listener. With a title taken from Othello, Elgar's Pomp and Circumstance remains one of his most popular works across the pond. The song from it's Trio, Land of Hope and Glory is one of three contenders for the British National Anthem, next to God Save The Queen and Jerusalem. Sound good to you? 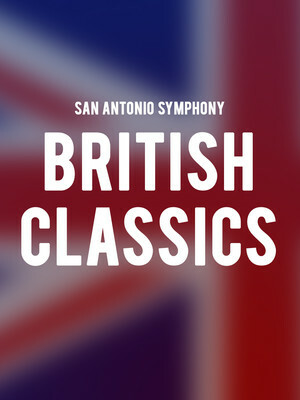 Share this page on social media and let your friends know about San Antonio Symphony - British Classics at HEB Performance Hall At Tobin Center for the Performing Arts. Please note: The term HEB Performance Hall At Tobin Center for the Performing Arts and/or San Antonio Symphony - British Classics as well as all associated graphics, logos, and/or other trademarks, tradenames or copyrights are the property of the HEB Performance Hall At Tobin Center for the Performing Arts and/or San Antonio Symphony - British Classics and are used herein for factual descriptive purposes only. We are in no way associated with or authorized by the HEB Performance Hall At Tobin Center for the Performing Arts and/or San Antonio Symphony - British Classics and neither that entity nor any of its affiliates have licensed or endorsed us to sell tickets, goods and or services in conjunction with their events.